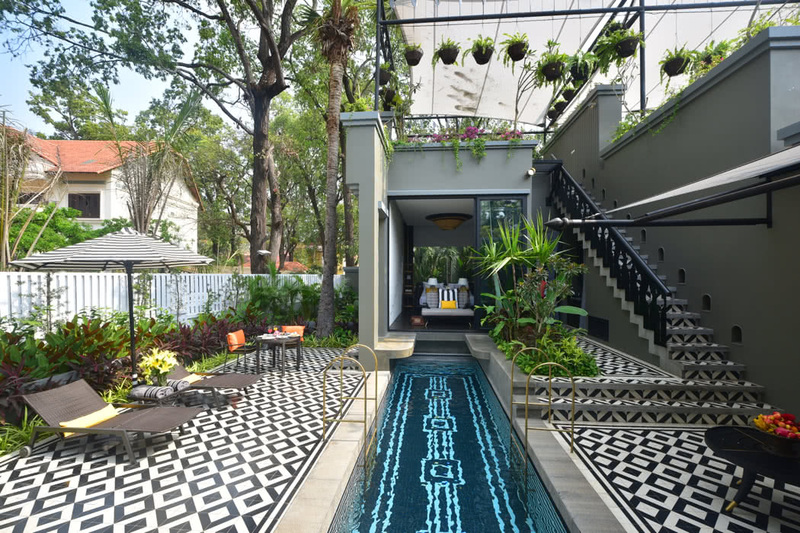 For an ultra-luxurious sanctuary to hide out in stunning Siem Reap, better known perhaps as the gateway to the magnificent temples of Angkor, book a stay in a stunning private pool villa at the incredible Shinta Mani Angkor – Bensley Collection. 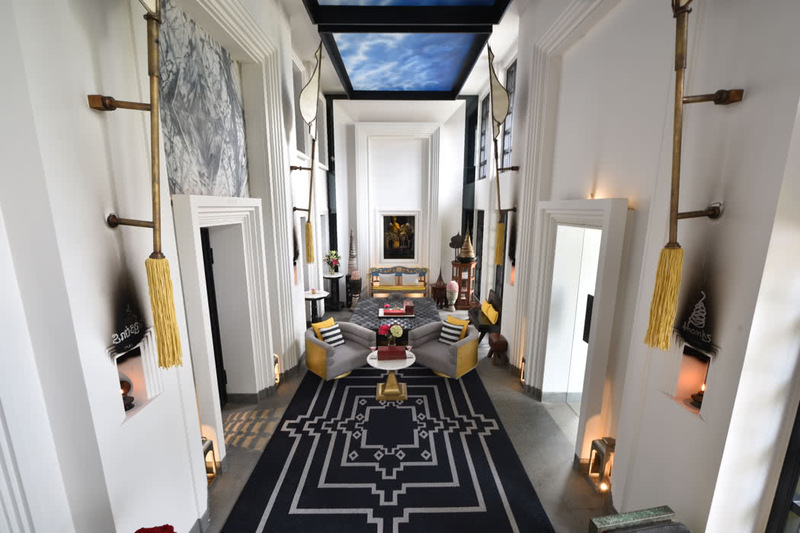 Shinta Mani Angkor is a member of our Lux Hotel Collection which means that when you can book a room via our luxury travel concierge you get brilliant extra benefits at no extra cost. Complimentary in room continental or buffet breakfast for two daily for duration of the stay. Complimentary roundtrip private airport transfers. The chic villas are located by the river in the cultural heart of Siem Reap in Cambodia; near enough to the action for ease but just quiet enough to allow total peace and serenity. You are just 15 minutes from the cultural highlight – the temples of Angkor. 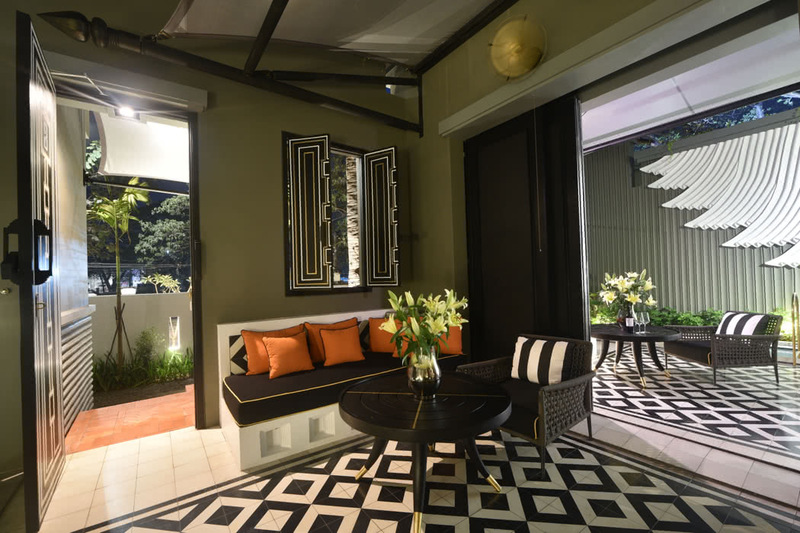 The villas are the latest offering in the Shinta Mani family created by acclaimed designer Bill Bensley. 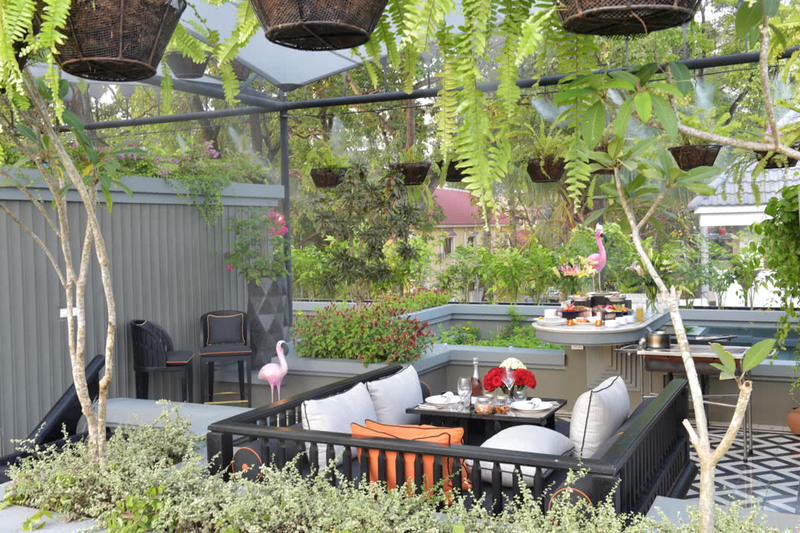 The 10 two-level villas are hidden under the ancient canopy of Siem Reap’s palace trees. Each walled compound offers you total privacy in your very own lush tropical garden with your own personal 9 metre swimming pool. It almost goes without saying but this place is special. Aesthetically it’s simply stunning. 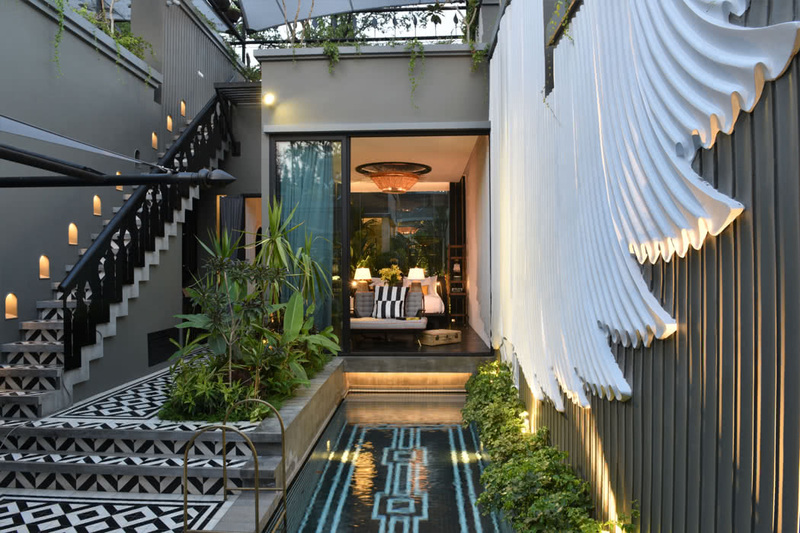 Monochromatic tiles, vast murals, handcrafted lighting fixtures, a floor to ceiling glassed bathroom, a freestanding bathtub in the garden and then there’s the rooftop. 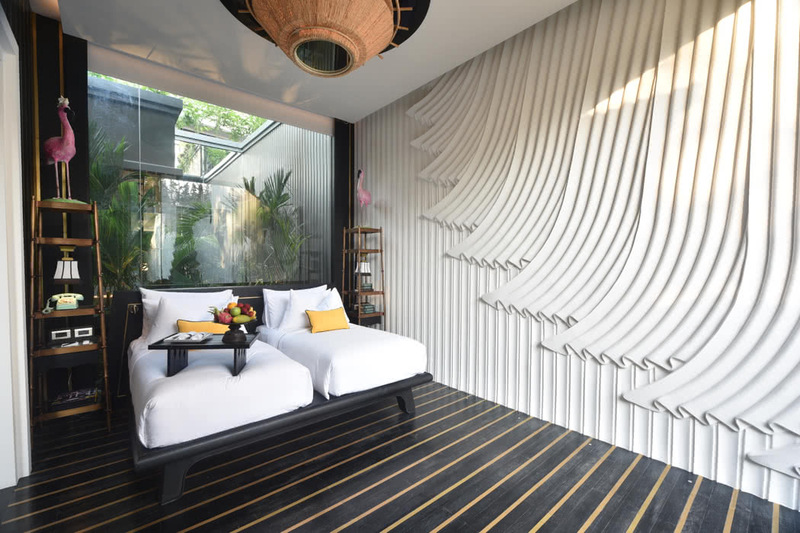 The beautiful roof terrace includes a huge day bed; sunbathe by day in true comfort, enjoy a seemingly personal display at sunset and sleep under the Khmer stars by night. Unforgettable. Possibly the most notable part of the service is quite simply that you have your own personal, traditionally trained butler. Sit back and let them spoil you; they have that enviable quality of being there instantly when you need something but being discretely invisible the rest of the time. Don’t think it impersonal though, they are warm and always greet and leave you with a smile. Ask them to arrange your transfers, organise local trips and tours, arrange restaurant bookings and basically meet your every whim. 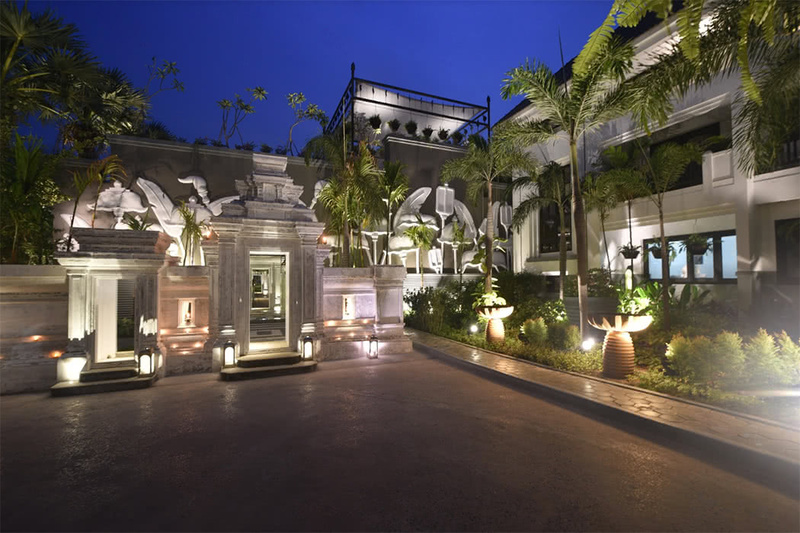 As well as your own facilities, you can enjoy complete access to all the facilities of the nearby sister hotels Shinta Mani Angkor and Shinta Mani Shack. Most notably perhaps being the luxe Shinta Mani Spa – alternatively they will come to you and deliver your treatment in the sanctuary of your own villa. The resort is proud of its culture of ‘Open Doors, Open Hearts’. This culture underlines their commitment to responsible tourism and they are passionate supporters of those less fortunate in their community. Your villa offers 156sqm. 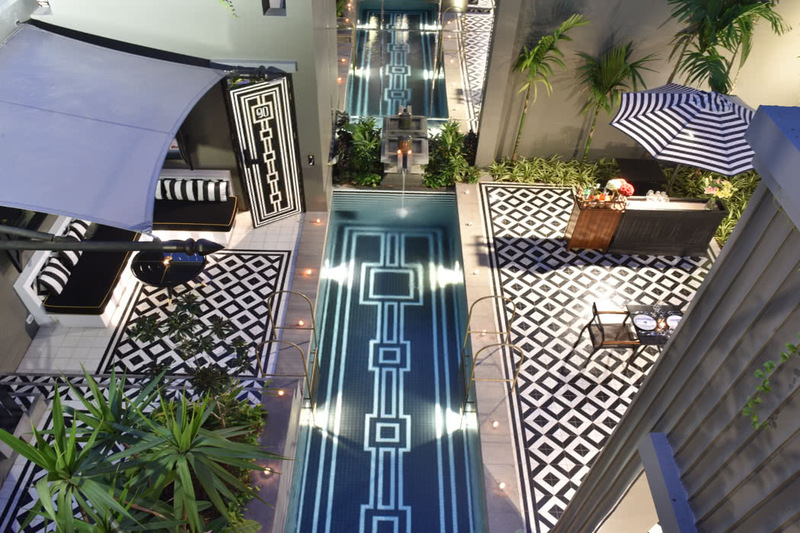 of luxury space across two pavilions with views over the garden, that outdoor bathtub and a rain shower. The bed is outstanding; Bill Bensley designed what he feels are the fluffiest, most comfortable beds imaginable. 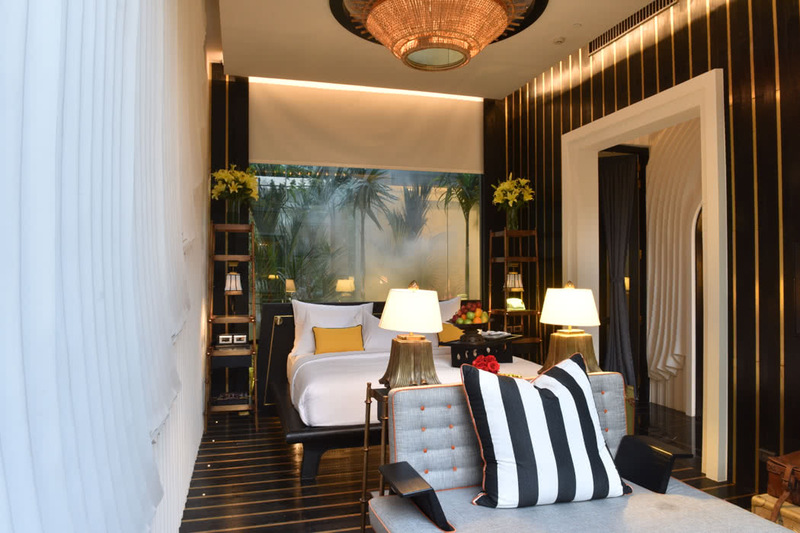 Custom tailored Khmer inspired bed sheets, a plethora of feather or pillows, and bedside golden bamboo towers; everything you need for a divine night’s sleep. Your butler comes into his own whenever you are feeling peckish. Let him know what you fancy and the house kitchen can tailor make a delicious breakfast, lunch, dinner and everything in between. 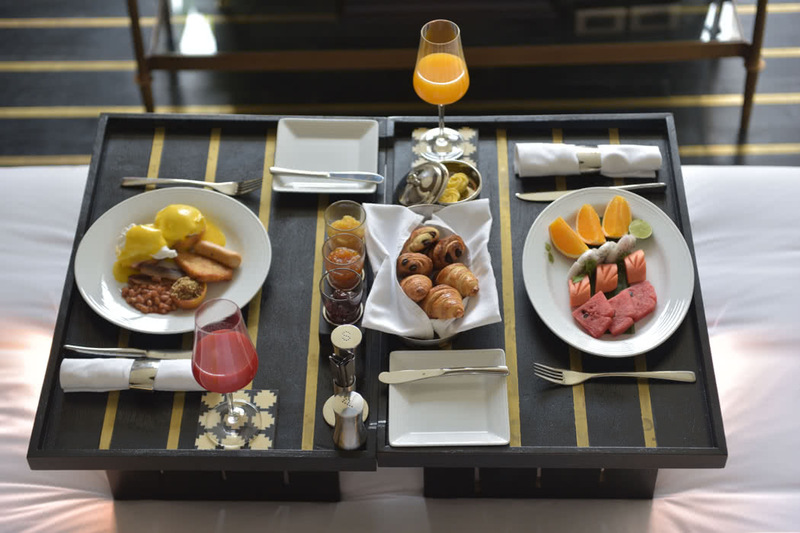 Dine poolside or on your rooftop or just take breakfast in bed. And of course, you can use the five restaurants and bars at the sister hotels or if you’re got itchy feet, ask your butler to recommend a night spot in the bustling Old Market area.